The gathering is hosted by WOVEN (Women of Victory Experiencing Newness). This is a time, set aside especially for YOU for food, fellowship, and fun! The meeting will begin with a shared meal. If it is convenient, bring a dish to share, if it is not, there is always plenty of food. Please come either way! 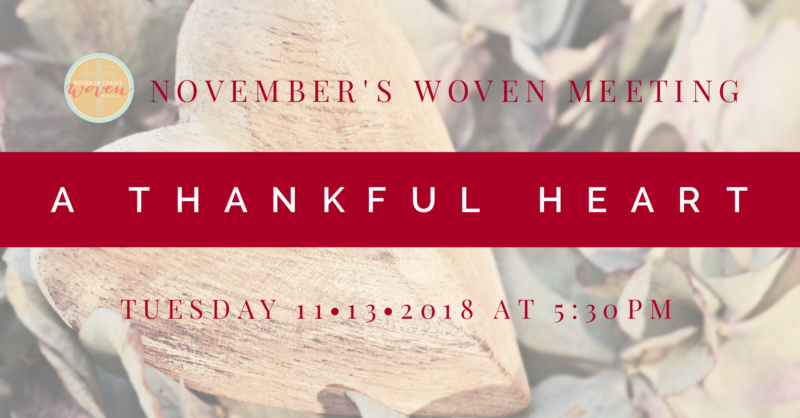 Join the WOVEN team as we look at the life-changing power of developing an "Attitude of Gratitude" and reclaiming the peace and contentment that Jesus provides!